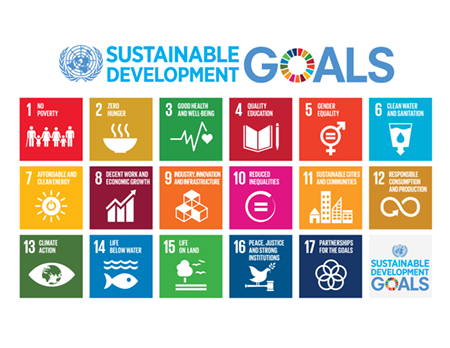 In 2015, over 150 global leaders gathered at the United Nations headquarters in New York to put pen to paper on a new set of 17 goals that are set to guide how the world tackles some of the most pressing issues of our time by the year 2030. Now such policy news ordinarily attract disinterest and disengagement among small food producers because to them ‘it doesn’t concern us.’ Yet it does, in all purpose and intent. Without going into the details of the 17 goals, these resolves include two objectives that every farmer should care about. Goal two hopes to “end hunger, achieve food security and improved nutrition and promote sustainable agriculture,” while Goal 13 targets to “take urgent action to combat climate change and its impacts.” These goals have made it the responsibility of governments, private entities and more specifically farmers to bring them to fruition in the next 13 years. So what is in it for farmers? More importantly how can a smallholder farmer with less than an acre contribute to ending global hunger, poverty and climate change? Well more than can be imagined. With small scale production accounting for over 75 per cent of the total agricultural output in most countries and 70 per cent of marketed agricultural produce, smallholder farmers are to a large extent determines how and when we can kiss poverty good bye. Yet they are still stuck in age old farming practices that continue to yield less even as global population burgeons, increasing demand for food. And as farmers remain stuck in age old woes, a new catastrophe has now hit farms, threatening to further curtail yields. Changing weather patterns has now meant that farmers who have traditionally relied on weather for farming are at the mercy of the gods. Intermittent rains and unpredictable climate has left farms earth scorched and millions food insecure. But how long can this be allowed to go on? While the global goals are a noble idea, they can only live up to their billing of making the world a better place if the people they are meant for actually embrace them. The Sustainable development goals if localized can herald a crucial developmental agenda: That of getting our hands dirty and taking charge of our destiny. It is the little deeds and actions that transform and make the world complete.